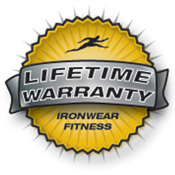 New UNDER-VEST™ Plus patented new design from IRONWEAR® makes it possible to double the weight of your existing Short Uni-Vest™ or Short Uni-Vest™ Plus. The New UNDER-VEST™ Plus is a padded liner that fits under and connects to your Uni-Vest™ and has 26 pockets to hold up to 52 additional Flex-metal® weights. The New UNDER-VEST™ Plus is a great up grade for your Uni-Vest™ or Uni-Vest™ Plus whether you want more padding or to carry more weight. The New UNDER-VEST™ Plus gives you the flexibility to quickly set up your vest the way you want. Just like the Uni-Vest™, the New UNDER-VEST™ Plus is adjustable in ½ pound increments with the same soft Flex-metal® weights. The New UNDER-VEST™ Plus (short) by itself can weigh up to 28 pounds and the system when combined with the short Uni-Vest™ Plus has a maximum weight of 56 pounds. 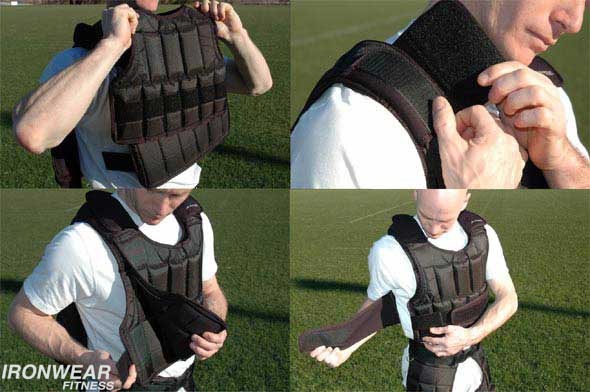 The New UNDER-VEST™ Plus system is safer and simpler to put on and take off than other heavily weighted vests. It allows you to put the weight on in layers, then connect the simple attachment flaps and you are ready to go. To take it off, remove the system as one vest or detach the flaps and remove it in layers.